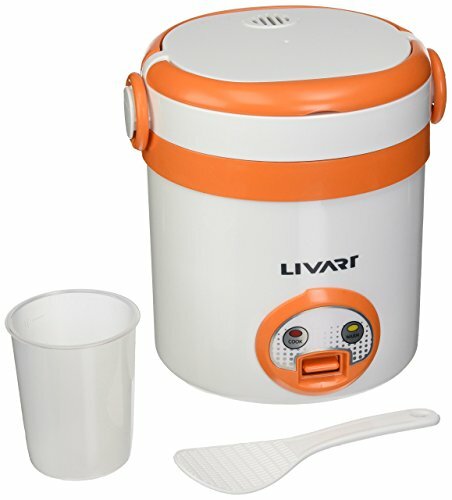 Ideal for cooking for one or two people, cook your rice with ease using the Livart L-001 1-Cup Rice Cooker. It features a single-switch operation that makes using this rice cooker easy, along with a keep warm function so your rice is always nice and warm. Includes a non-stick coated pan that prevents the rice from sticking, thus making cleaning easy. Comes with a side dish container to use as a lunch box and a detachable handle for portability. Also includes a multi-language instruction manual to get you started. If you have any questions about this product by Livart, contact us by completing and submitting the form below. If you are looking for a specif part number, please include it with your message.